Firstly, thank you to everyone who came to visit us at Denfair this year, making our third year exhibiting the best one yet! 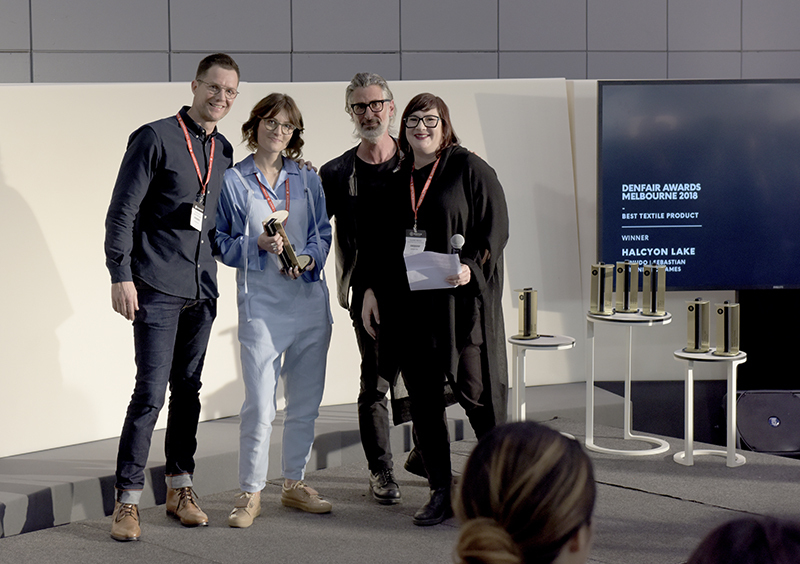 We were thrilled that our Nudo rug, designed by Sebastian Herkner for Ames, received the award for Best Textile Product by this year’s judging panel comprising of the notable Ewan McEoin, Senior Curator and head of the Department of Contemporary Design and Architecture at the National Gallery of Victoria. Emma Telfer, Executive Director of Open House Melbourne and Claire Beale, President of the Design Institute of Australia. Halcyon Lake receiving the award for Best Textile product. Our colourful stand at Denfair 2018. 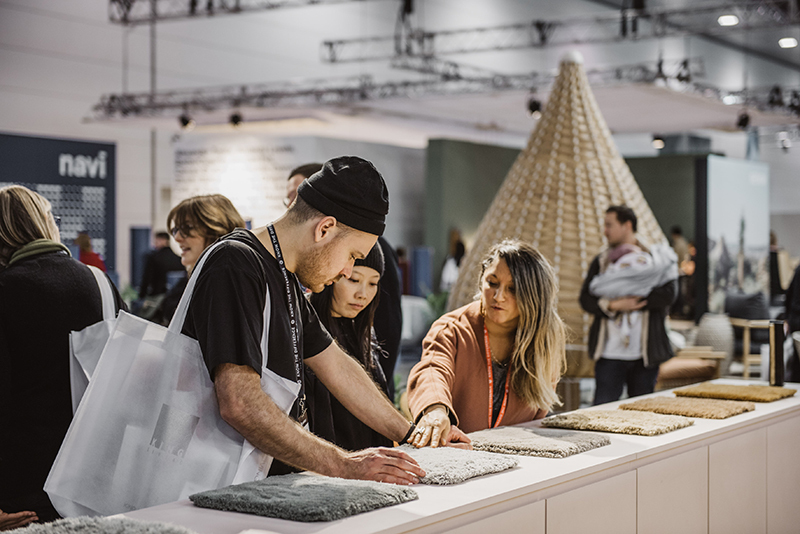 We presented our Ames Nobsa rug collection in a layered display with the complementary floor and scattered cushions, giving the visitors the opportunity for a quick sit down and rest their weary feet! 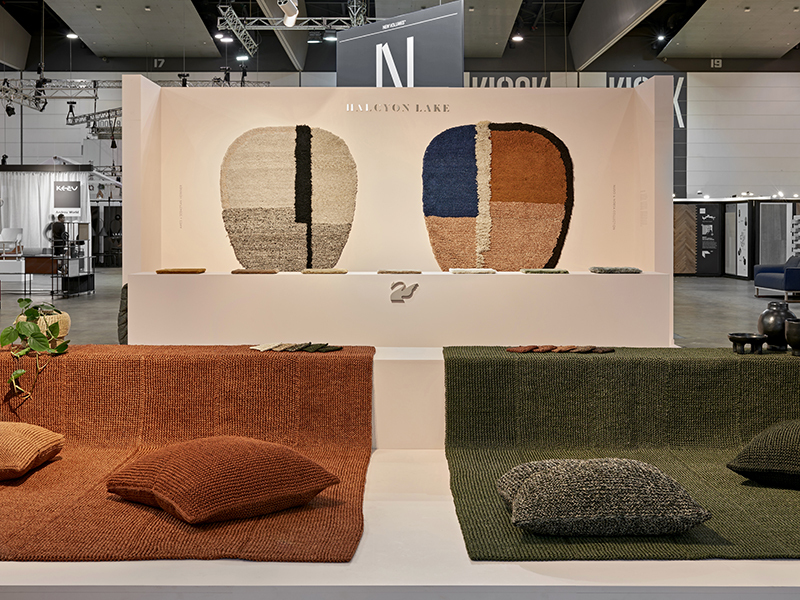 Two of the 6 colourways available for the Nudo rugs were also on display. The Nobsa rugs layered to create a playful composition. 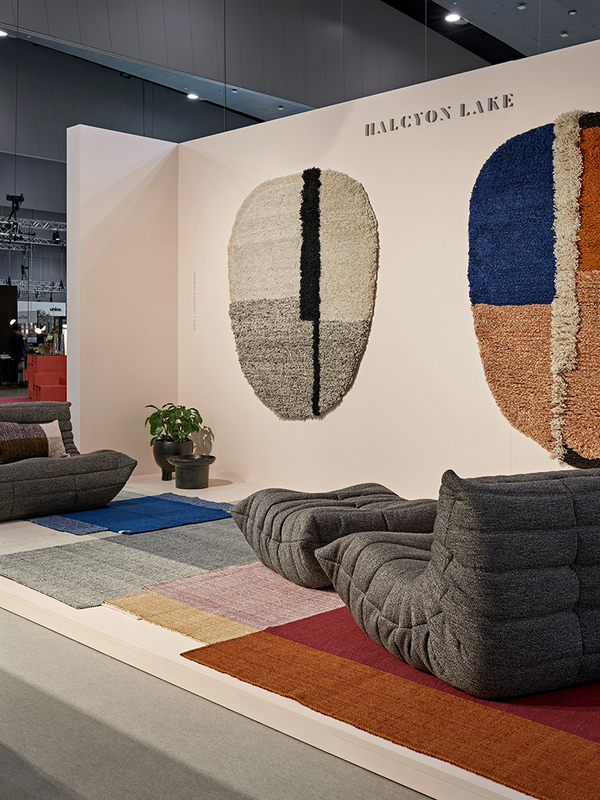 The Nudo rugs displayed as wall-hangings. 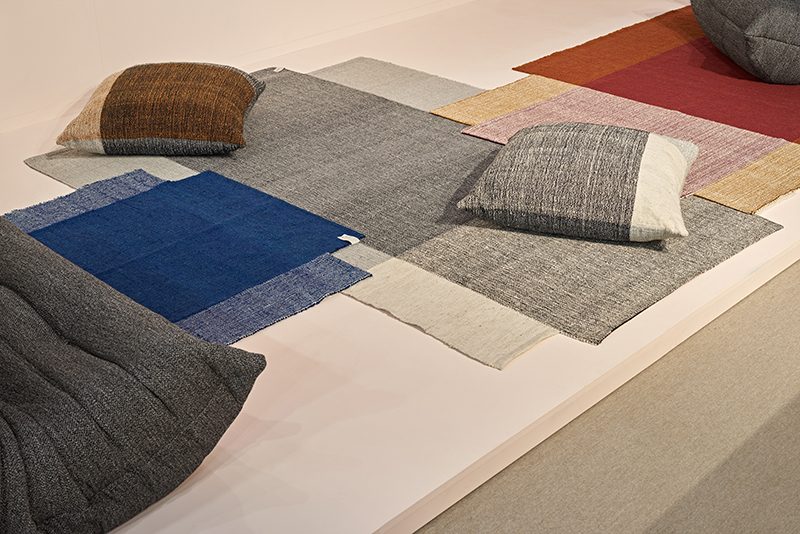 Denfair was the perfect occasion for us to launch our brand new Trenza collection – a range of knitted sisal rugs and cushions by Colombian designer Valentina Hoyos. 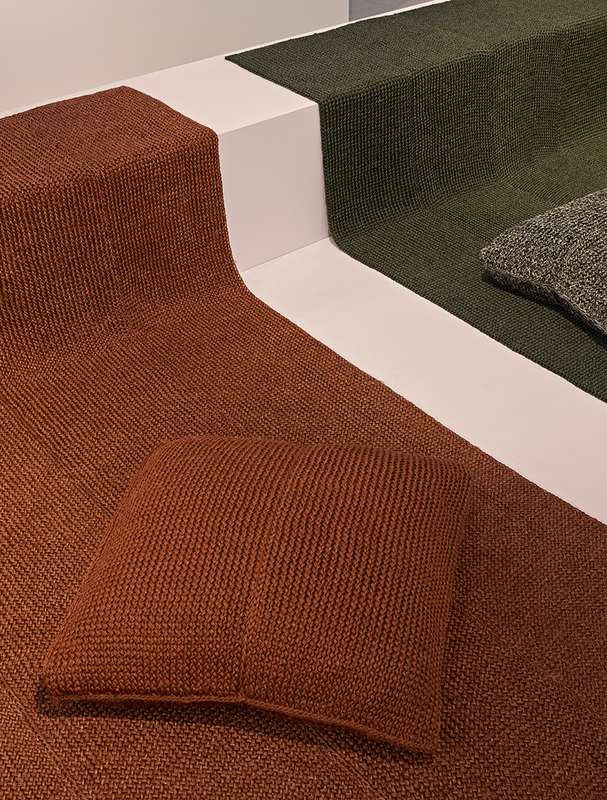 Environmentally sustainable, this collection is crafted using locally grown sisal which is available in abundance in Colombia and coloured with natural vegetable dyes made with ingredients such as beetroot, onion or wood shavings. 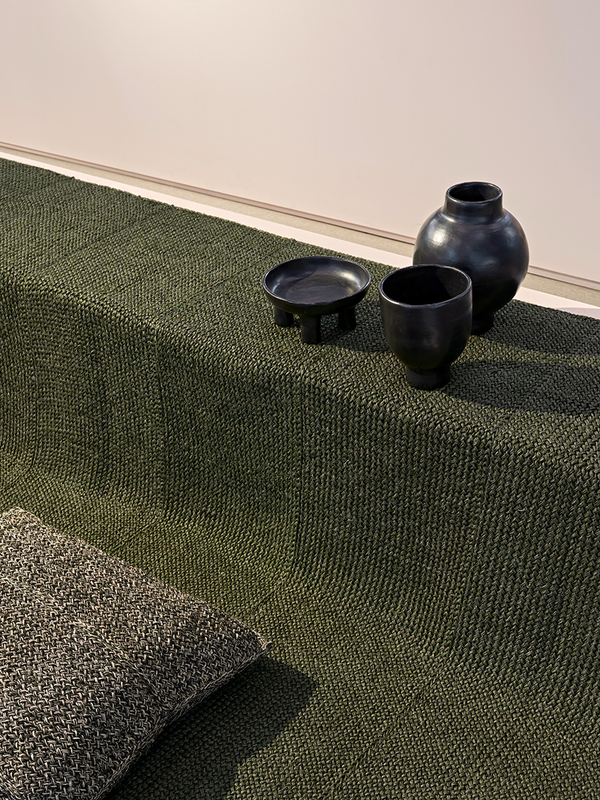 Valentina says ” The softness of crocheted or knitted sisal was a nice surprise. I did lots of research to achieve this texture”. Our new Trenza collection designed by Valentina Hoyos. Hand-braided sisal rugs and cushions. 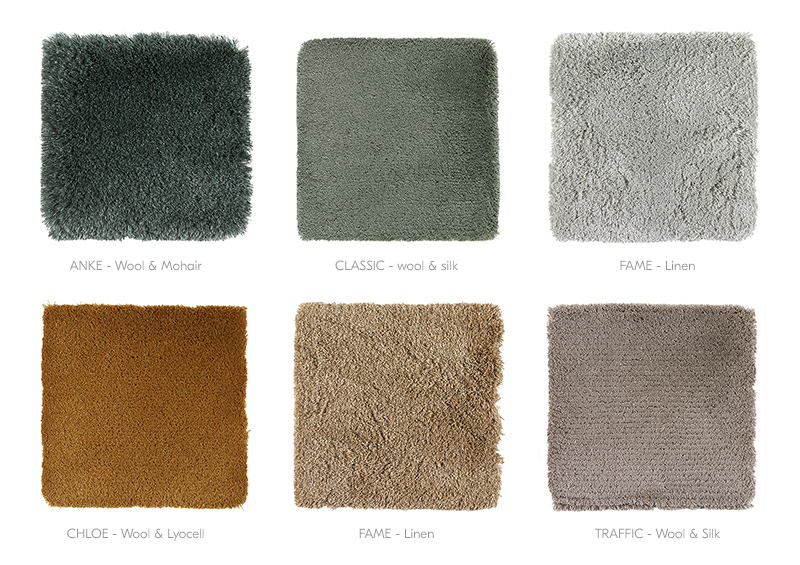 To tie in with the colour-blocking theme at Denfair, we presented a curated selection of our range of luxurious hand-tufted rugs from Belgium. Needless to say that the pure silk samples got a lot of love and pats during the 3 days! Our hand-tufted collection from Belgium. Samples on display at Denfair.